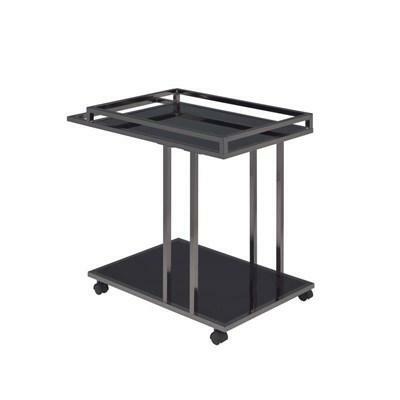 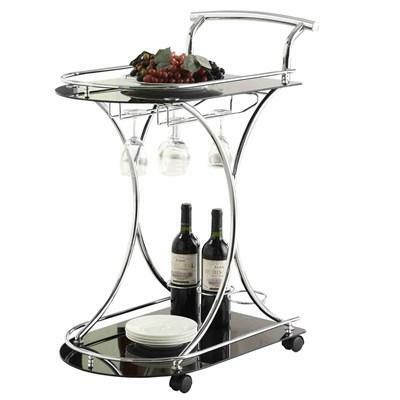 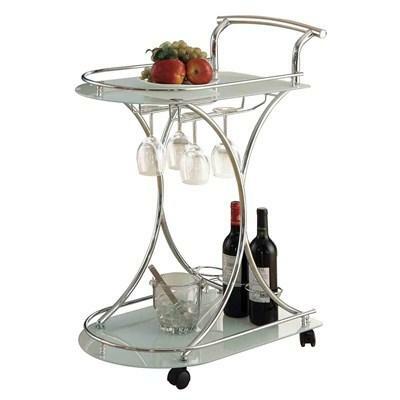 This serving cart features two black glass shelves, wine bottle and stemware rack and 4 casters for easy mobility. 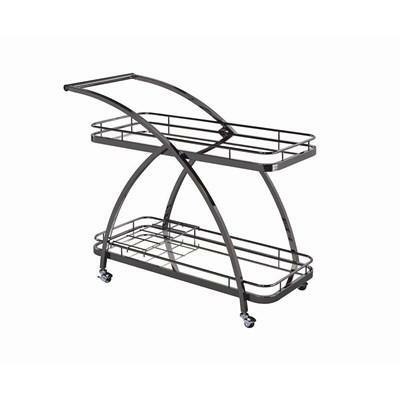 Metal accents are in a chrome finish. 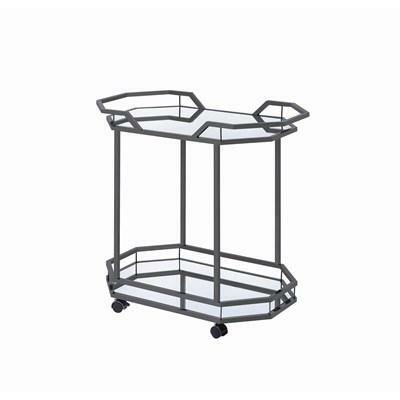 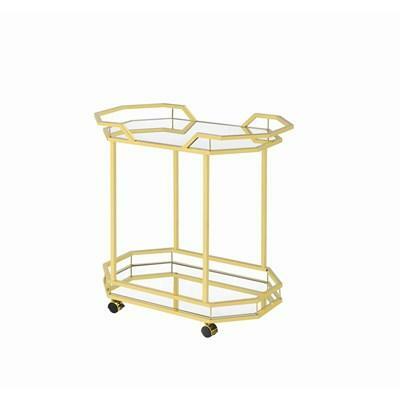 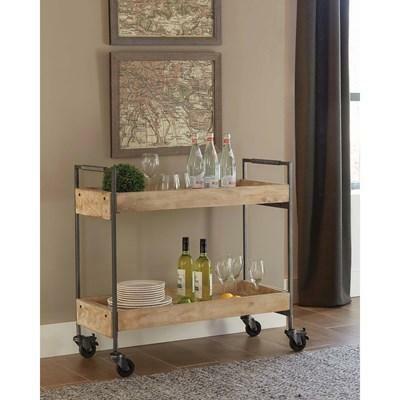 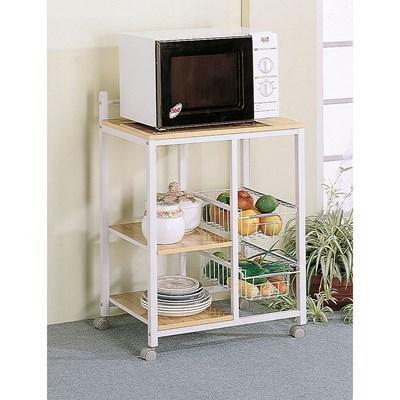 This serving cart offers a fun design and features two frosted glass shelves, a wine bottle and stemware rack, and casters for easy mobility. 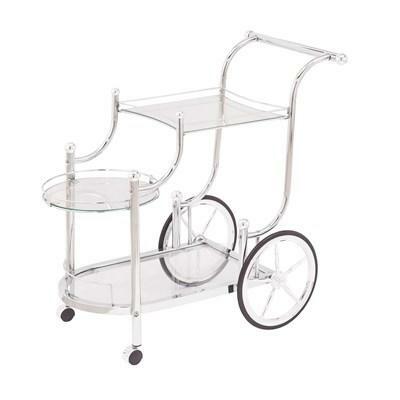 The metal frame is in a chrome finish. 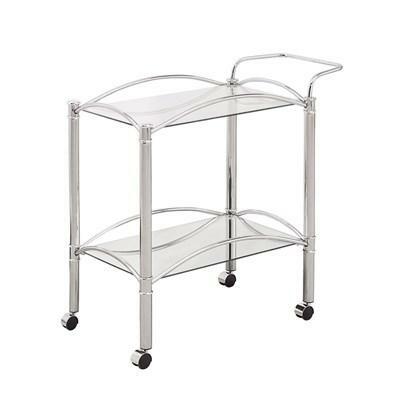 Featuring a chrome finish, its design is simple with gentle curves to add a sense of shape and movement to the piece. 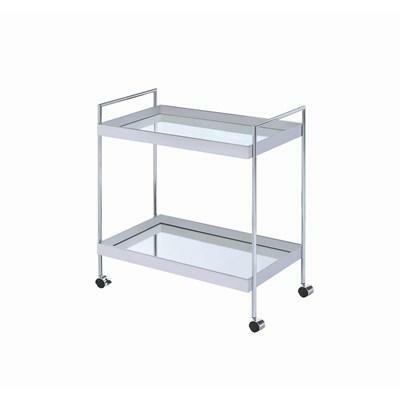 Two tempered glass shelves provide space for placing dishes and dining accessories with ease. 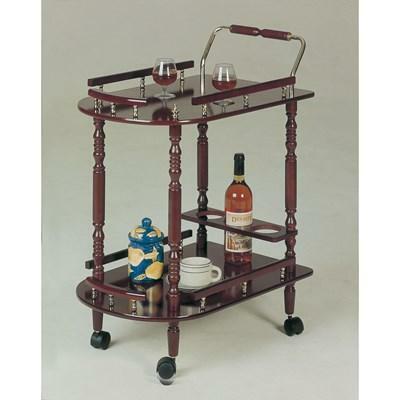 Two casters and 2 back wheels.